A blouse is a loose-fitting upper garment that was formerly worn by workmen, peasants, artists, women and children. It is typically gathered at the waist or hips (by a waistband or belt) so that it hangs loosely ("blouses") over the wearer's body. Today, the word most commonly refers to a girl's or woman's dress shirt but can also refer to a man's shirt if it is a loose-fitting style (e.g. poet shirts and Cossack shirts). Traditionally, the term has been used to refer to a shirt which blouses out or has an unmistakably feminine appearance. The term is also used for some men's military uniform jackets. Blouse is a loanword to English from French: blouse means "dust coat". It possibly was brought back from their travels by French Crusaders. They moved on their armor a so-called "p(e)lusisian shirt", a blue-colored gowns to the dust, which had its name from the Egyptian town of Pelusium. The derivation may also be from "wool", blouso "short wool" and blos, blouse "deprived, naked" taken off (Provençal dialect). It is first officially noted in 1828, from French blouse ("a workman's or peasant's smock"), of obscure Occitan route. A man and woman wearing poet shirts—a unisex blouse inspired by Romanticism. 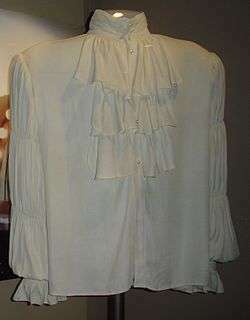 The famous Seinfeld "puffy shirt", an example of a poet shirt blouse. Blouses (pronounced blause, blauze or blooze) are historically a cask style, mostly mail-like garment, that were rarely part of the fashionable woman's wardrobe until the 1890s. Before that time, they were occasionally popular for informal wear in styles that echoed peasant or traditional clothing, such as the Garibaldi shirt of the 1860. Blouses usually consist of light fabrics such as silk or thin cotton fabrics, until the early 1990s are often made of softly falling synthetic fibers (eg polyester). Sometimes they are decorated with frills, embroidery or loops. 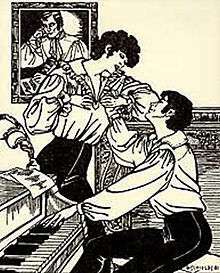 The classic of the ladies' blouses is the white shirt blouse (following the classic elegant white men's shirt). Here the combination possibilities are particularly diverse. The open spade or reverse collar is another common type of classic ladies' blouse. "Even if more and more justification is given for the hot summer days of the casual blouse, the classic riding dress made of velvet or English linen still remains unmatched." At the end of the 19th century the sailor blouses derived from sailor suits were popular for girls to the blue pleated skirt. In the time of National Socialism this piece of clothing was rejected as a bourgeois-decadent. In the 1950s, the sailor's look then entered the leisure mode for adults. The high collar in blouses was pushed out during this time by the halsferne variant. Specialist shops also offered "ladies' cloaks". The KdW in Berlin applied in his illustrated main catalog: 1913 among other things a backfisch-confection, with eight blouses between 2.75 and 9.50 Marks. The simplest model was a "wash blouse, navy, white spotted", the most expensive one "blouse, white, wash, with tip and stick". One of the novelties of the season was the pointed "Charmeuse blouse, very elegant form, pure silk, with very fluffy crepe and lace gown"
During the later Victorian period blouses became common for informal, practical wear. A simple blouse with a plain skirt was the standard dress for the newly expanded female (non-domestic) workforce of the 1890s, especially for those employed in office work. In the 1900s and 1910s, elaborate blouses, such as the "lingerie blouse" (so-called because they were heavily decorated with lace and embroidery in a style formerly restricted to underwear) and the "Gibson Girl blouse" with tucks and pleating, became immensely popular for daywear and even some informal evening wear. Since then, blouses have remained a wardrobe staple, so by now blouses have not ceased to be fixed in the "popular cloakroom" style. Blouses are often made of cotton or silk cloth and may or may not include a collar and sleeves. They are generally more tailored than simple knit tops, and may contain feminine details such as ruffles, a tie or a soft bow at the neck, or embroidered decorations. Tailoring provides a closer fit to the wearer's shape. This is achieved with sewing of features such as princess seams or darting in the waist and/or bust. Blouses (and many women's shirts with buttons) usually have buttons reversed from that of men's shirts (except in the case of male military fatigues). That is, the buttons are normally on the wearer's left-hand and the buttonholes are on the right. The reasons for this are unclear, and several theories exist without have conclusive evidence. Some suggest this custom was introduced by launderers so they could distinguish between women's and men's shirts. One theory purports that the tradition arose in the Middle Ages when one manner of manifesting wealth was by the number of buttons one wore. Another that the original design was based on armour which was designed so that a right-handed opponent would not catch their weapon in the seam and tear through,and that a person could draw a weapon with their right-hand without catching it in a loose seam of their own clothes. Female servants were in charge of buttoning their mistress's gowns (since the buttons were usually in the back). They tired of attempting to deal with buttons that were, from their point of view, backwards and, as such they started reversing the placement when making or repairing them. Another possible reason is so that men can easily undo blouses as, from the front, buttons are on the same side as a man's shirt. One other theory is that women were normally dressed by their maids, while men dressed themselves. As such, women's blouses were designed so it could be easily buttoned by the maid but that of men were designed so it could be easily buttoned by the person wearing it. Although in all the cases proposed the reasons for the distinction no longer exist, it continues out of custom or tradition. While most women prefer to have the top button open for better comfort, some blouses made for women have looser necklines so the top button can be fastened without compromising comfort, but giving the same stylish appearance. Some women attach various pins and ornaments to their blouses over a fastened top button for style. Some of these attach directly to the button itself, others to the collars. Some blouses do not have a top button at all, and collars are styled to be open. They also form part of some nations' traditional folk costume. A Japanese blouse (left) in 1951. Various new and different forms of collar emerged in the 1920s. They diminished in sizes by the 1950s, but were huge in the 1930s. At the beginning of the 1970s, popular styles included the rounded collar, sausage dog collar, then extra wide collar and double cuffs from shirts, that fell on them often from fashions relating to synthetic fabrics like usually polyester. At the beginning of the 1960s bubic bangs came back, then later wide collars. The fashion of standing and federal collar, loops, rounded collars, haemoglobin collars , and the smallest collar, sometimes with concealed button fly on a "smoking blouse", attached folds and stressed set-in-followed in the 1980s. Again, thin and often shining synthetic fibres were very popular. Towards the end of the 20th Century, they were of an extra-long blouses of pants style and worn over trousers or skirt worn, optionally combined with a rather wide belt around the waist in the Germany, the Netherlands, Belgium, Denmark, Poland, the UK, Ireland, South Africa and the USA. The sleeves had been shortened during the early 1950s to the ½ and ¼ length in Europe. They were reduced again in the mid-1990s and are now regularly at the ⅞, ½, ⅓ and ¼ length around the world. As the eye will be drawn to the naked flesh below the sleeve, designers often use sleeve length to focus the minds eye on the slimmer parts of the arm, particularly short sleeve blouses below the elbow to give the illusion of a slimmer arm. Sleeveless tops were fashionable and a topical item in Western Europe and America during the mid-2000s. Many fashionable styles of both the 1970s and 1980s were on the go again after the millennium in the blouse fashion: double cuffs, extra wide pointed collar, belt around the waist, synthetic fibre and the like. Often the blouses also embroidery or "crystal stocking", have especially on collar and string. The blouses with the so-called three-quarter arm were a striking phenomenon of the 1990s. Blouses can be combined well and easily with a blazer, tank top, bolero or sweater, with or without some colourful silks or bead chain necklaces. As part of the Eco movement's folk blouses for women were cut from natural materials such as flax, linen and cotton. Men also wore these "Frisian blouses" on occasion. The blouse jacket or blouson is garment drawn tight at the waist with blousing hanging over the waist band. The new style of man's chetten lose blouse coat is made of stronger material or with inner lining, which can be worn alone or as a jacket or over a separate top is related to. It is related to the Eisenhower jacket. In one version, a tartan pattern skirt is worn with an over-the-shoulder plaid, a white blouse and petticoat, and a velvet bodice. The alternative is a white dress over a petticoat, together with a tartan pattern sash. A typical Aboyne dress consists of a dark bodice or elaborate waistcoat, decorative blouse, full tartan skirt and some times a petticoat and apron. Some have a tartan sash (usually draped over the shoulder and coming down towards the hem of the skirt in the back) rather than an apron. A woman wearing a dirndl. The white part on her body and arms is the blouse. A woman wearing a dirndl with white blouse is usual in Bavaria and rural Austria. They are usually made of light fabric (textile), such as silk or cotton thin, until the early 1990s still often from soft covered by art faserstoffen (such as polyester and satin). They often have fanciful decorations (such as frills, embroidery, or grinding) and are a classic among the women's blouses—here the fashionable combination possibilities are especially varied. The open Spaten—or lapel collar—is another common type of a classic ladies blouse. Actress Eesha Koppikhar in an embroidered choli worn in Hindu weddings. 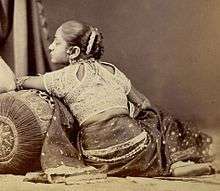 A choli (Hindi: चोली), (ravike in South India Telugu: రవికె, Kannada: ರವಿಕೆ) is a midriff-baring blouse shell garment in the Indian sari costume worn in India, Nepal, Pakistan, Sri Lanka, Bangladesh, and other countries where the sari is worn. The choli is cut to fit tightly to the body and has short sleeves and a low neck. The choli is usually cropped, allowing exposure of the navel; the cropped design is particularly well-suited for wear in the hot South Asian summers. Cut-out backs and front-opening buttons are some of the features of contemporary designs. 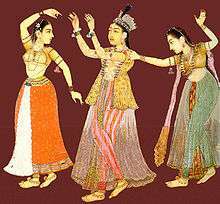 Saris are often woven with an extra length of material meant to be cut off and fashioned into a matching choli. The choli may be sewn so that the elaborately woven borders of the sari material form the bottom edges of the choli sleeves. However, cholis need not match the sari. There is a growing trend towards stretchy, comfortable cholis made from knit materials. ↑ "blouse – definition of blouse by the Free Online Dictionary, Thesaurus and Encyclopedia". Thefreedictionary.com. Retrieved 2012-08-14. ↑ "Glossary B # 3". Apparelsearch.com. Retrieved 2012-08-14. ↑ "Marine Dictionary". Toysforkidsvt.com. Retrieved 2012-08-14. 1 2 "What is a Choli?". WiseGEEK. Retrieved 21 March 2012. Look up blouse in Wiktionary, the free dictionary. 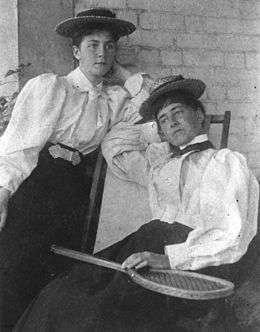 Wikimedia Commons has media related to Blouses.